Find cheap flights from Auckland to Fiji, an idyllic paradise that offers something for everyone - from relaxing in luxury to thrill-seeking adventures. The pleased-to-see-you hospitality of Fiji is legendary in the Pacific. It’s a friendly embrace for families who want to escape a too-long winter. It’s a welcome relief for time-poor corporate execs who need to unwind and renew. It’s an affordable treat for backpackers who have more time than money. And it’s a dream come true for romantics, from starry-eyed honeymooners to 50th anniversary celebrators. 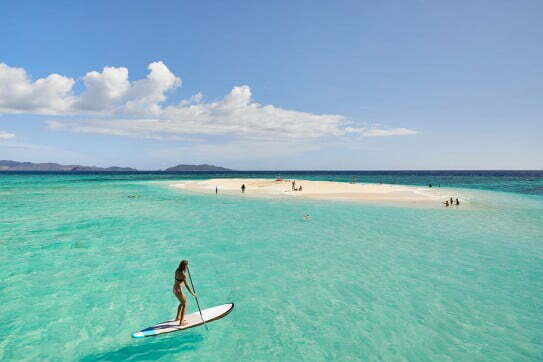 With 333 islands and unlimited welcoming smiles, Fiji rules the waves of Pacific holiday happiness. Air New Zealand flies non-stop from Auckland to Fiji every day. On some days there are two flights. This means the length of your Fijian holiday won't be constrained by flight availability, provided you book in plenty of time. Air New Zealand also flies non-stop from Wellington to Fiji between June and October and from Christchurch to Fiji between May and October. Connections across our domestic network make it easy to access flights to Fiji from New Zealand. Auckland to Fiji flights take just over three hours and you have a choice of fare types - Seat, Seat + Bag, The Works and Works Deluxe. Premium Economy and Business Premier are also offered on some flights. All fares to Fiji include an on-demand seatback entertainment system. Malolo Island in the Mamanuca group has Fiji's only overwater bungalows, arranged around a calm, clear lagoon. Each bungalow has a bathroom pavilion with water views from the tub. If you're interested in cheap flights to Fiji from Auckland, we run regular special offers. You can sign up for alerts to receive early notice of Fiji flight deals. You can also sign up to our email database to receive regular updates about fares, packages, competitions and exclusive offers. 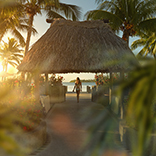 It's easy to assemble all-inclusive Fiji packages using our site. During the fare booking process, you'll have the option of adding a rental car. After you've completed payment, we'll give you the option of booking accommodation through Expedia. Fiji's main airport is at Nadi on the west coast of Viti Levu. From here you can be transported by land, sea or air to your holiday destination. Each Fiji islands group has something special to offer. The Mamanuca Islands, to the west of Nadi, have picture-perfect resort locations for idyllic family and couples holidays. Further out are the Yasawa Islands, which are loved for their white sandy beaches and pristine marine habitats where you can snorkel with tropical fish, manta rays and reef sharks. Viti Levu, Fiji's main island, is known for superb all-purpose resorts - you can stay at Denerau, the Coral Coast, Pacific Harbour and in the north on the Suncoast. Viti Levu's rugged interior is a place for adventures in the mountains and on the rivers. Vanua Levu, Fiji's second-largest island, is less touristy and more focused on diving and snorkelling. And to the north east is the island of Taveuni, known as the garden island, where you'll discover great diving, national parks and rainforest hikes. 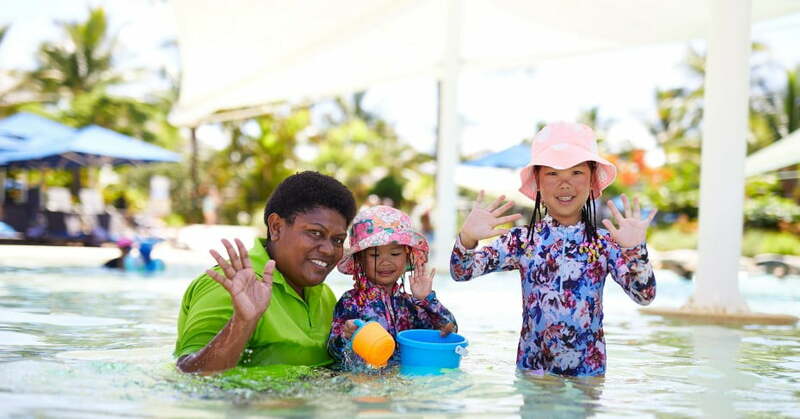 Fiji holiday packages have always been popular with families, not just for the weather, swimming pools and fun marine adventures, but for the wonderful Fijian kids clubs and nannies that ensure parents enjoy themselves as much as the kids. Fijian people have a natural love of children and are famous for the legendary level of care and attention they provide. Kids clubs generally take children from age three and over. Programmes start after breakfast and operate all day, with a break for dinner. 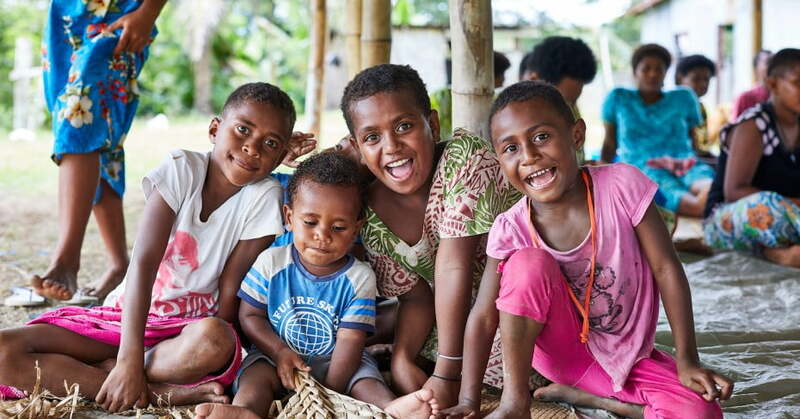 Children spend their time playing sports, learning Fijian games and crafts, building sandcastles, cooking, feeding fish, racing crabs, making friends and much, much more. Children too young for kids clubs can have nanny care for minimal charge. Fijian people have a wonderful way with children, from babies right through to teens, so parents (who are off doing grown-up things, like reading by the pool or sipping cocktails) are barely missed. Relaxation happens the moment you arrive in Fiji. 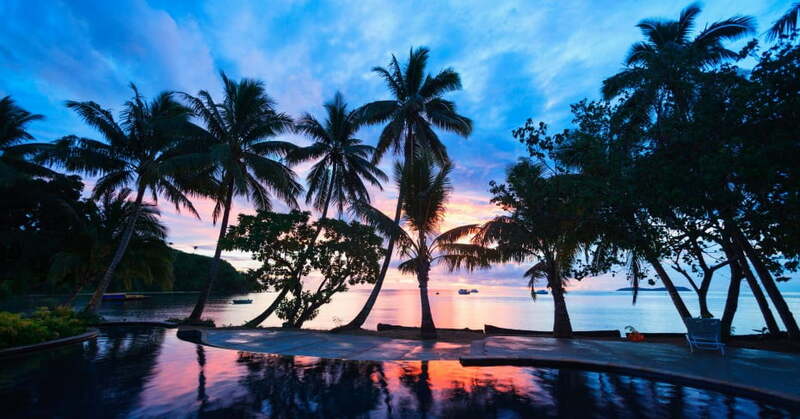 As well as being a top spot for lazing on the beach, snorkelling azure lagoons and sipping cocktails at sunset, Fiji is a superb location for renewal and revival. Pack up all your cares and woes, aches and pains, stresses and strains, because there's a range of spas and retreats ready to help restore your health and happiness. Most resorts have spa treatments on offer: Bebe Spa at Outrigger has a wonderful view across the Coral Coast, Senekai Spas have facilities across a number of resorts and there's an award winning Guinot spa at Qamea. Many spas use divine, locally-made skincare products that feature active ingredients from Fiji - Pure Fiji and Nama Fiji are two brands to look for. When you want time for two with all the tropical trimmings, Fiji can match your expectations and then some. Helicopter transfers, chilled champagne, couples massages, white coral sand, swaying palm trees, twin deckchairs at the edge of a turquoise lagoon, a private plunge pool, sunset dining with a view, gourmet picnic baskets on sand cays…the list of romantic possibilities is limited only by your imagination. 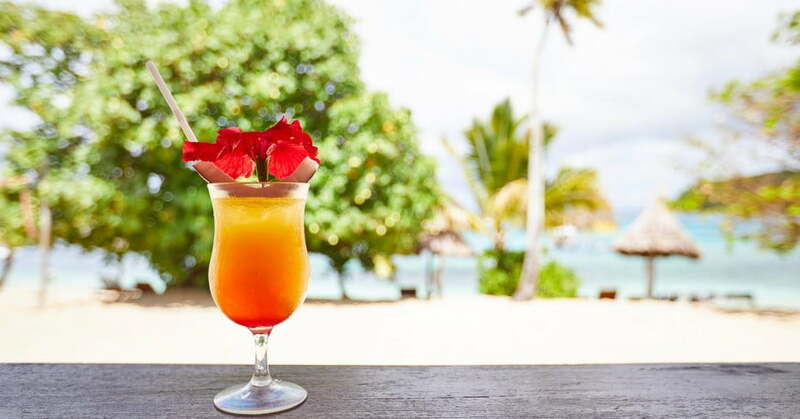 For those wanting peace and quiet away from the squeals of happy children, there are affordable adult-only luxury resorts in the Mamanuca Island group, namely Tropica Island Resort, Lomani Island Resort and Matamanoa Island resort. Many other resorts have adults-only areas. These include the Waitui Beach Club at the Sofitel Fiji Resort & Spa and Koro Area at Hilton Fiji Resort & Spa, both of which are Denarau hotels. 'The Cove' at Paradise Cove Resort in the Yasawa Islands also offers an adults-only club area where you can dine, swim and relax without the pitter patter of tiny feet. All across Fiji there's a magnificent choice of luxury resorts that will leave you wanting for nothing. You'll find stunning overwater bures at LikuLiku Lagoon Resort and Marriott Resort Momi Bay. Each bure is surrounded by turquoise lagoon - for your morning swim, just walk off your private deck and into the ocean. If you want even more exclusivity, there are number of luxury private islands in Fiji, complete with butler services and personal chefs. You can even have your own Bure Mama to orchestrate every aspect of your romantic escape, including vow renewals if you're celebrating a significant anniversary. Luxury doesn't always mean top dollar. In the Yasawa Islands there are flash-packing options where you can have a secluded-but-simple beachfront villa with a hammock strung between two palm trees. Affordable bliss! For a shorter romantic getaway, Denerau Island is just minutes from Fiji's international airport. Choose a beachfront room or suite, book a sunset dinner and ask the band to play your song. Perfect! While it's easy to get preoccupied by beachy things to do in Fiji, more challenging pursuits beckon from the mountains and sea. On the big island of Viti Levu you can go hiking, quad biking, horse riding and white water rafting. 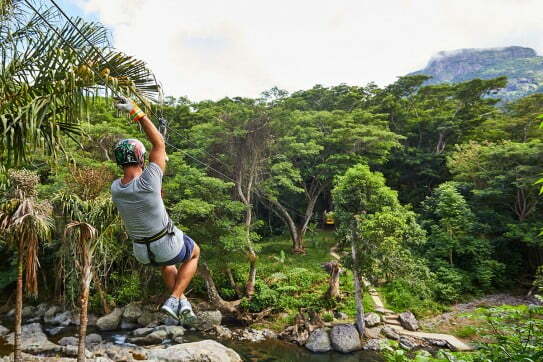 There are also three zip-lining experiences that zigzag across rivers and through the rainforest. Jet boating on the Sigatoka River is another immersive attraction, where you get scenery and fun in equal quantities, as well as a look at local village life for a taste of everyday Fijian culture. To discover the biggest view in Fiji, go tandem skydiving - the islands, reefs and beaches look amazing from 14,000 feet. Ocean-based adventures in Fiji extend way beyond the usual snorkelling, paddle boarding, kayaking, jet skiing and surfing options. These days you can swim with manta rays in the Yasawas, dive with sharks in Beqa, fish for marlin and GT (giant trevally) or join a local village fish-spearing safari. An incredibly special opportunity is a swimming tour into the Sawailau Caves (best known as the Blue Lagoon Caves from movie fame), a fantasyland of limestone formations. And if diving's your thing, Fiji is known as the 'soft coral capital of the world'. The dives are, literally, great - there's the Great White Wall and the Great Astrolabe Reef, one of the largest barrier reefs in the world. Temperatures in Fiji are consistent, with only a couple of degrees of variance throughout the year. The average daily high is about 30°C and the average low is around 21°C. 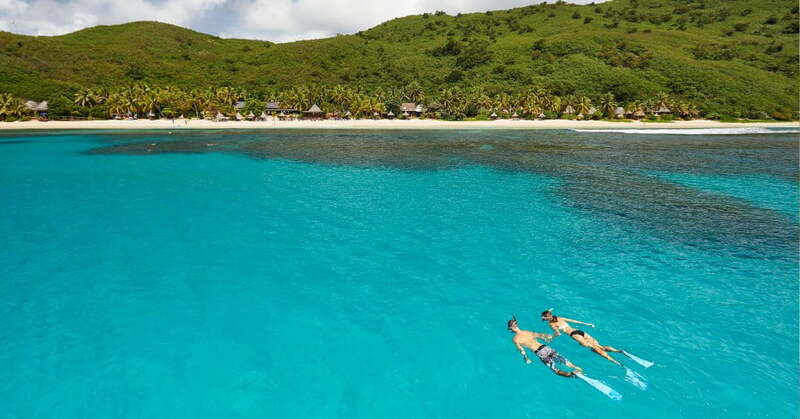 May to October is Fiji’s busiest time, because the weather is generally sunnier and drier. However there’s a lot to be said for booking off-peak Fiji deals, because prices will be more affordable. Fiji holidays range from easily affordable to ultra-luxury, so daily costs for food and entertainment depend on where you’re staying. Many accommodation providers offer package deals that include meal plans and activities, which can work out to be great value for money. Up-to-date vaccinations against typhoid, tetanus and hepatitis A and B are a good idea. If you're travelling outside the main resort areas, mosquito nets and repellents are recommended, as there is no vaccine against dengue fever. The Zika virus has been reported in Fiji, so pregnant women should seek up-to-date advice on their travel. New Zealand citizens don't need a visa to enter Fiji for stays of less than four months. Your passport will need a minimum of six months validity when entering Fiji.